Perkins Coie is pleased to announce that it has been named a Founding Steward by the Sovrin Foundation, the first law firm to be selected. The Sovrin Foundation uses open-source distributed ledger technology, a type of cryptographic database provided cooperatively by a global pool of participants, rather than a single database with a central administrator. The records are protected by strong, industry-standard cryptography and best practices in key management and cybersecurity. As a Founding Steward, Perkins Coie will run one of the global network’s interconnected nodes. When mature, the network will be run by public and private sector organizations using a redundant byzantine fault tolerant consensus protocol to ensure that the ledger that keeps records of all identity transactions is reliable, complete and immutable. 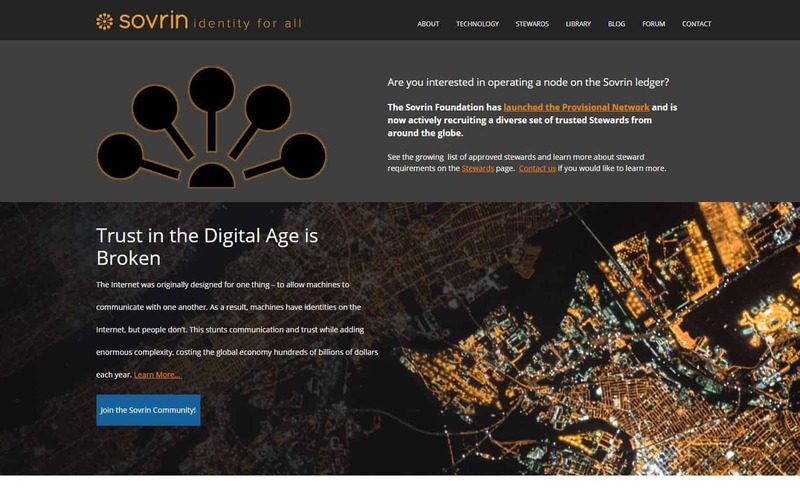 The firm’s relationship with the Sovrin Foundation began in early 2017 and was further established while working closely with it on the development of the firm’s white paper, “Self-Sovereign Identity and Distributed Ledger Technology: Framing the Legal Issues.” The white paper was published ahead of Coin Desk’s Consensus 2017, where Perkins Coie hosted an interactive roundtable titled, “How to Solve the Digital Identity Problem”; SSI was featured as one of the key topics. Perkins Coie’s Blockchain Technology & Digital Currency industry group was publicly launched in May 2013 as the world’s first legal practice focused on decentralized cryptocurrencies and shared ledger technologies. The Blockchain Technology & Digital Currency industry group is an outgrowth of Perkins Coie’s long history representing fintech, internet, mobile and other technology companies. This multidisciplinary group is on the front lines of industry developments, helping clients address the complex legal issues faced by blockchain and digital currency businesses. Attorneys in this practice provide product counseling, regulatory investigations and compliance counseling, litigation support, consumer protection counseling and business transaction assistance. Clients include shared ledger consortia platforms, exchanges, wallet providers, payment processors, investors and industry associations. Founded in 1912, Perkins Coie LLP has more than 1,000 lawyers in 19 offices across the United States and Asia. The firm provides a full array of corporate, commercial litigation and intellectual property legal services to a broad range of clients, from FORTUNE 50 corporations to emerging growth startups, as well as public and not-for-profit organizations.